Do You Think the Dead Shooting Instructor Is Feeling Macho Now? The following meme was found on Vacca’s Facebook page by the sane folks at the Coalition to Stop Gun Violence. 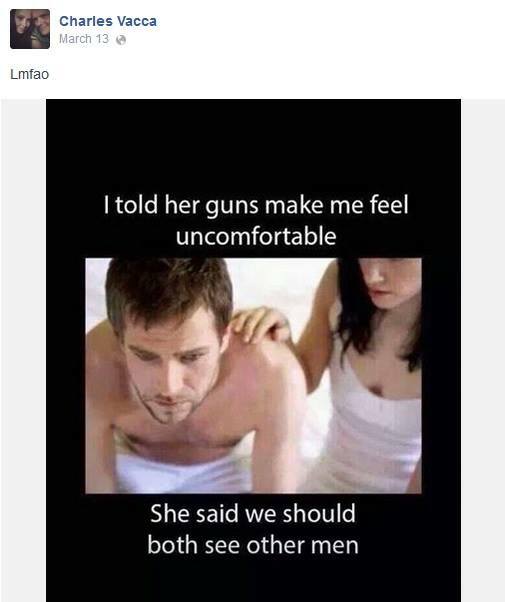 The post tells us a bit more about the late gun instructor: He was a homophobe who not surprisingly, had some serious issues when it comes to understanding what it really mean to be confident, masculine man.